Prior to the RTM release of Visual Studio 2010, the only way to upgrade an ASP.Net MVC 1 application to ASP.Net MVC 2 was to use Eilon Lipton’s tool. With the release of Visual Studio 2010 you will now be able to open your MVC 1 projects in Visual Studio 2010 and upgrade them to ASP.Net MVC 2 projects. 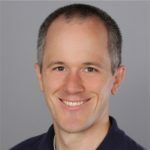 Earlier this week ScottGu announced the release of ASP.NET MVC Preview 3 and outlined some recent changes to the framework. I wanted to give you an update on the tooling enhancements for preview 3.